We are Anna and Eva and we have known each other since elementary school where we even shared the same desk for a while. Since then, life events have carried us in different directions. When we met again a few years later, it was only to find out that our view of the world is similar and that we share a common goal – to create something new. And so the Play Day project kicked off in March 2017 with the aim to help make free time more meaningful for children, adults, teenagers, seniors, individuals and work teams. I am always hungry for new horizons, knowledge and information. Professionally, I have been active for over twenty years in the area of coaching, personal and organizational development. I have a teenage son Lucas who is the center of my universe. I enjoy yoga, skiing, biking, and traveling to unknown destinations. I see Play Day as an opportunity to learn, discover and connect people and ideas that are worth connecting. I give it all my heart as well as everything that I have learned about the world, people and working with people till this day. I have always loved spending a lot of time outdoors. It helped me develop strong ties to nature which have had a strong impact on my choices regarding my studies as well as my professional occupation. I have been working in the environmental field for many years, with special interest in its protection and industrial recycling. I care about the planet we live on and feel concerned about what happens to it. I devote most of my time to my little son Marek who pays me back with his smile and great energy. I like going on trips, enjoy skiing, a game of tennis or volleyball. Play Day is the fulfillment of my yet unfulfilled dreams. 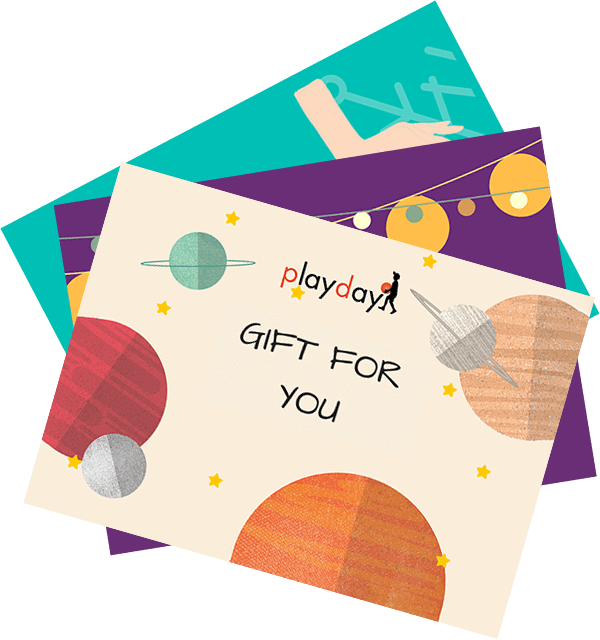 Play Day is about discoveries, new horizons and the adventure that comes from overcoming our own limitations. We would like you to get involved in things you have only imagined: “If I could only understand their language”, “If I knew how to play the piano”, “If only there was someone to show me how to practice yoga and relax”, “If I could only put on canvas what I see and feel”… sounds familiar? We would like to help you develop and motivate your work teams. Together with our lecturers, we will create an environment where your team will get a lot of joy from something they experience together. Either by learning something in a team, trying something completely new, creating, building, playing, singing or cooking… The possibilities are almost endless. You can be meeting for that purpose on regular basis at your workplace or reward yourselves with a creative teambuilding to celebrate a special occassion. We will be happy to assist you in making the right choice. We would like you to overcome your inner barriers and start developing your talent fully. Thanks to the private nature of our courses and lessons, you no longer need to go where you don’t know anybody and where you may feel embarrassed – uncertain of your performance and nervous about others judging you. We would like you and your nearest and dearest to be able to spend your time meaningfully and creatively. With the overload of attractions today we sometimes find ourselves merely consuming our time rather than living it actively, developing new skills and having fun learning. But there is so much that we can discover, feel and experience. No matter if we are ten, thirty or seventy years old! Whoever you are, there is no time to lose.